Our staff devotes considerable effort and energy to care for our children and give them a warm environment—to compensate to the extent possible for the love that they regretfully didn’t get from their biological parents. Their shining eyes and smiles are our best thanks in return. 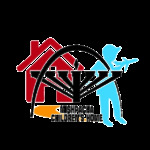 Above all, “Mishpacha” is prepared to work, perspire, expend, and do everything in its power to guarantee the happiness of the children.